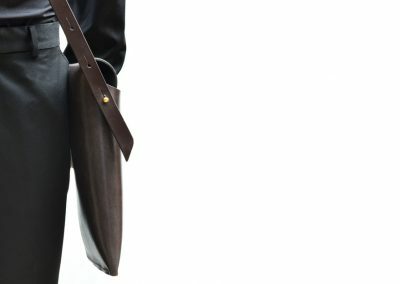 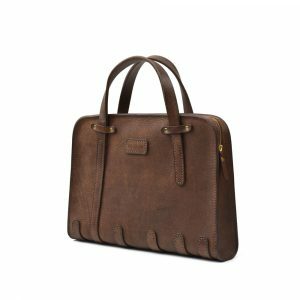 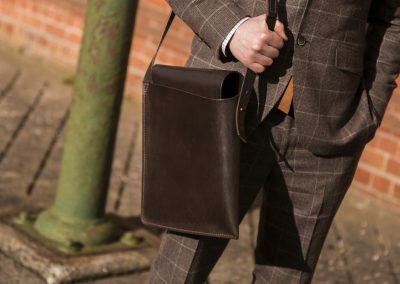 A deceptively spacious daily carrier, the Satchel Bag can accommodate both an iPad and notebook while an inside pocket is provided for valuables. 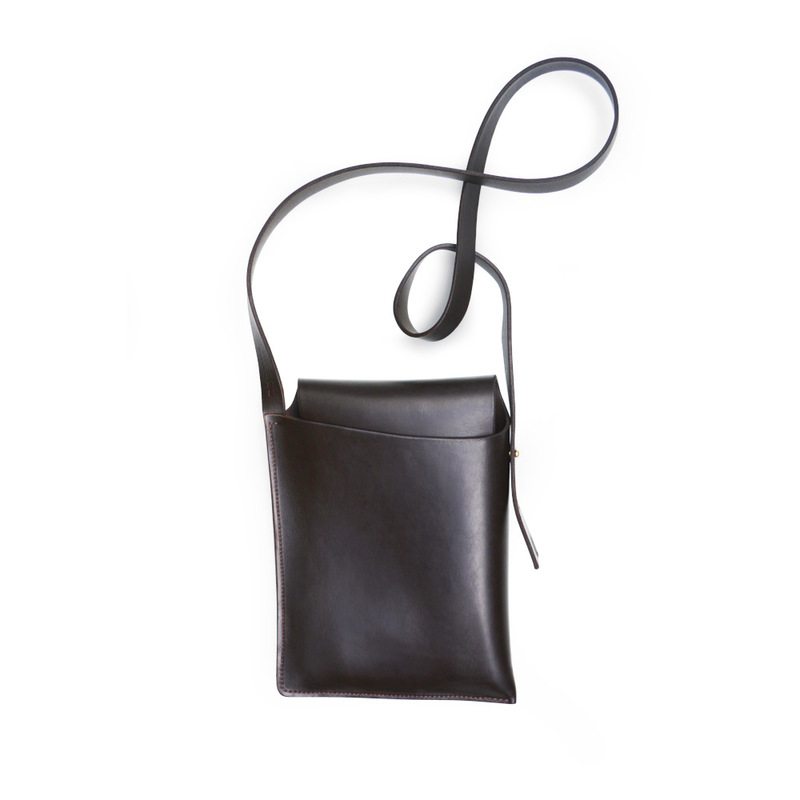 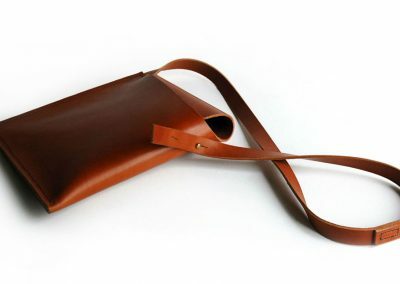 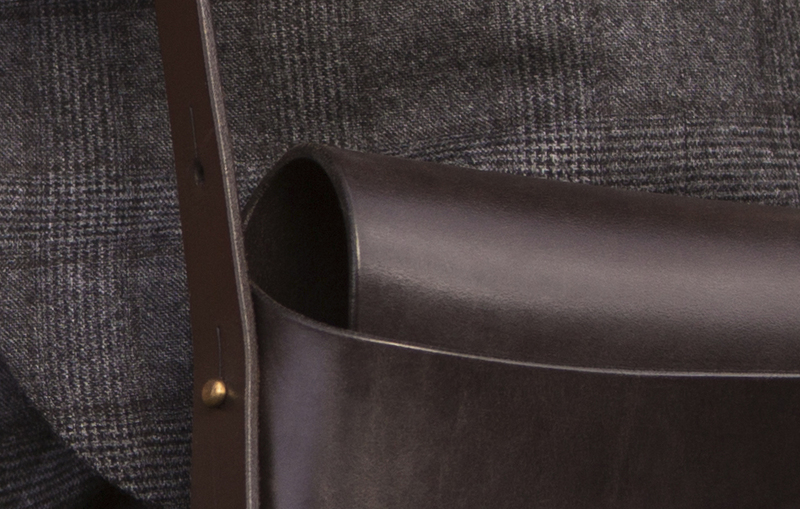 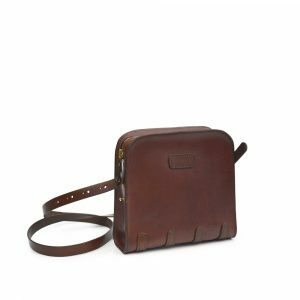 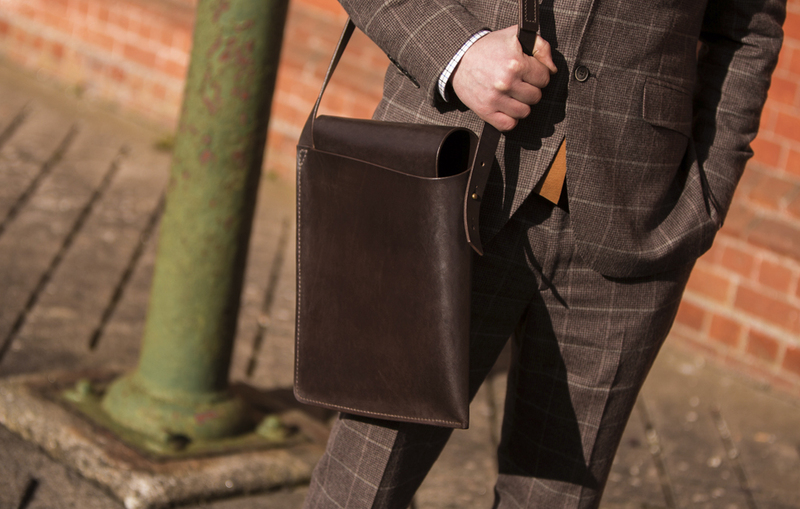 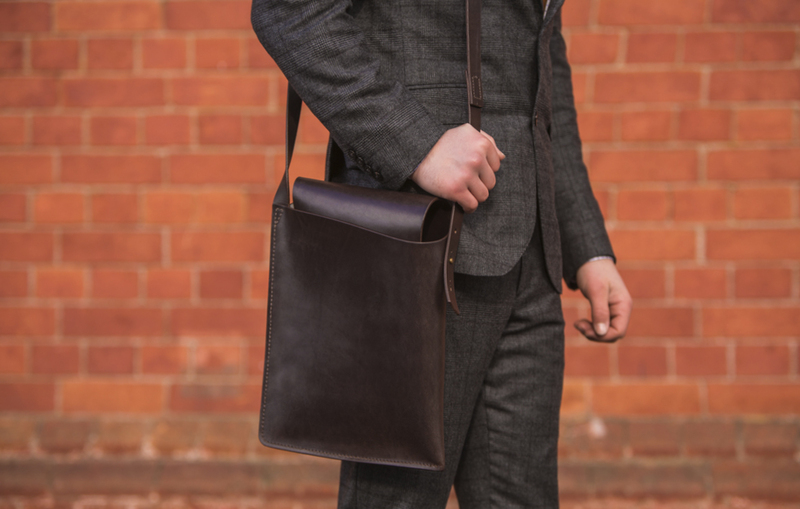 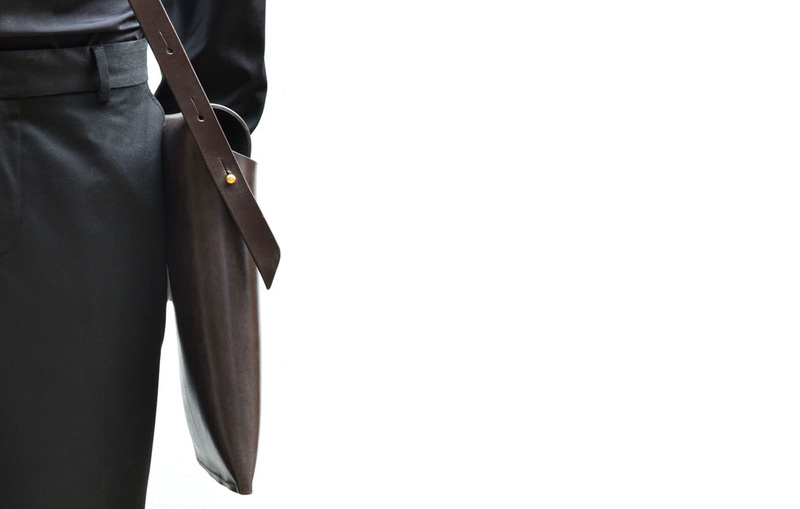 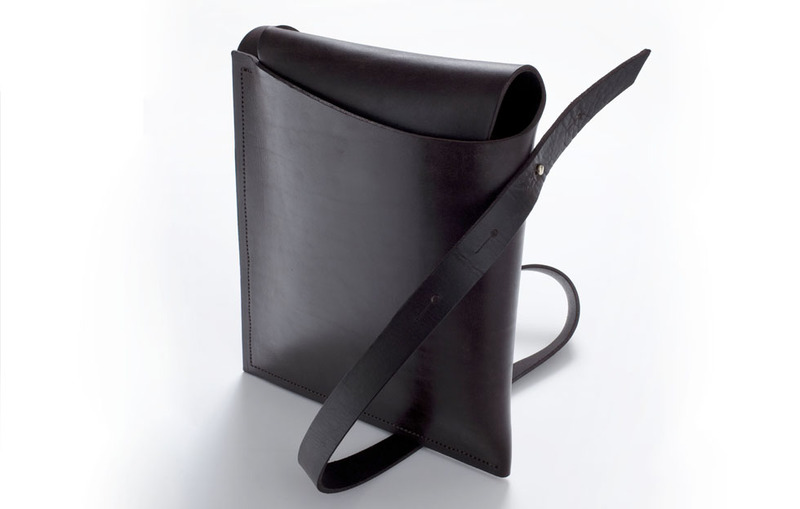 The Satchel Bag is created by a simple wrap of leather and finished with a front flap tucked neatly inside. 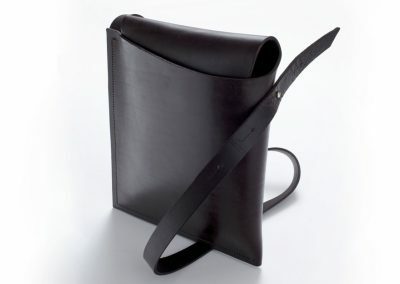 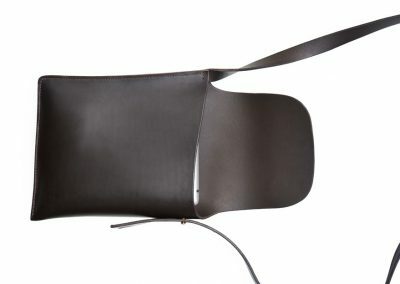 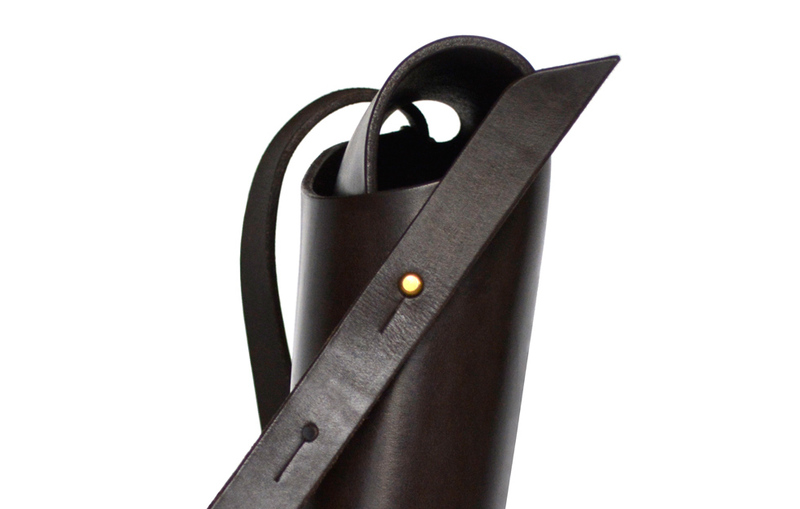 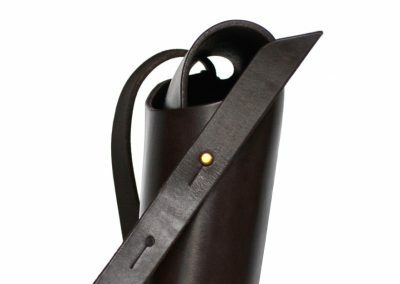 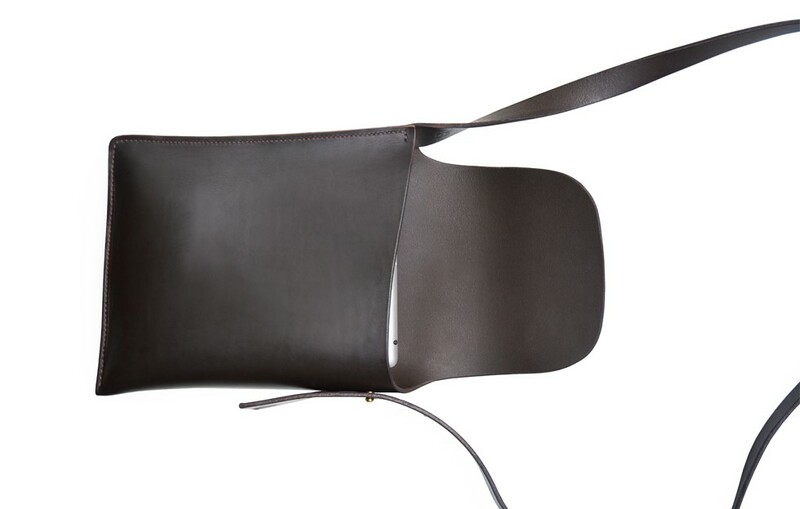 The shoulder strap is easily adjusted using the simple stud. 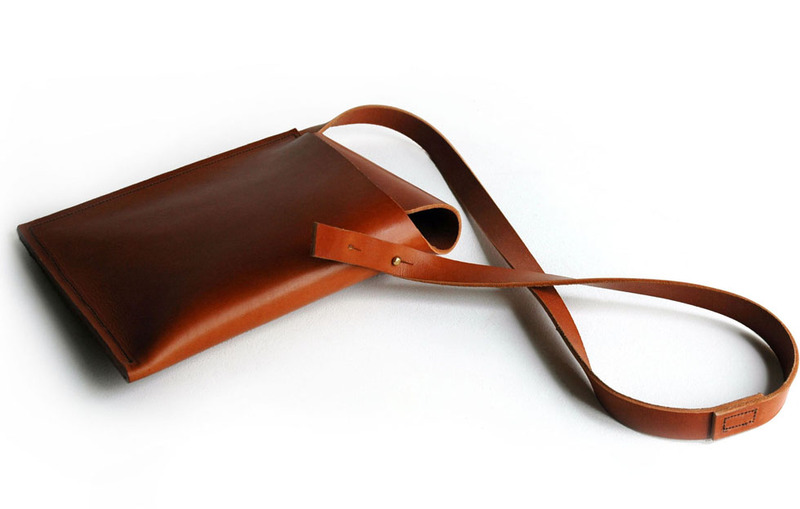 Custom made for left and right hand wearers. 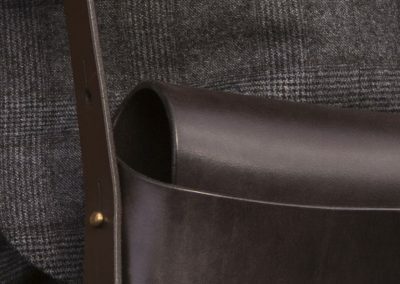 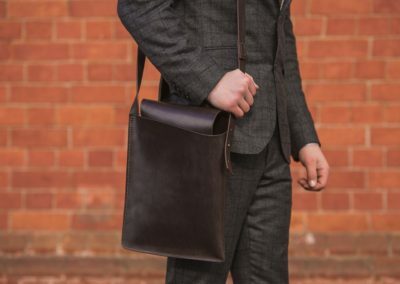 The Satchel Bag is expertly shaped using a single, sweeping piece of structural leather and hand-crafted with a robust stitching. 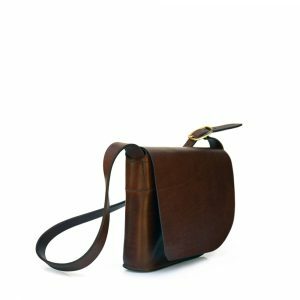 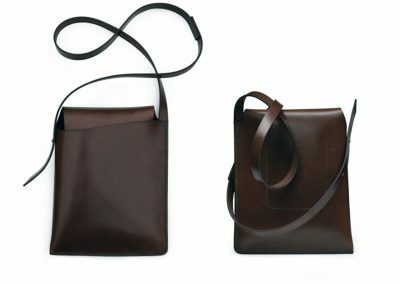 A low-slung bag with a casual feel has a long adjustable strap with brass closure and can be worn on the shoulder or across the chest. 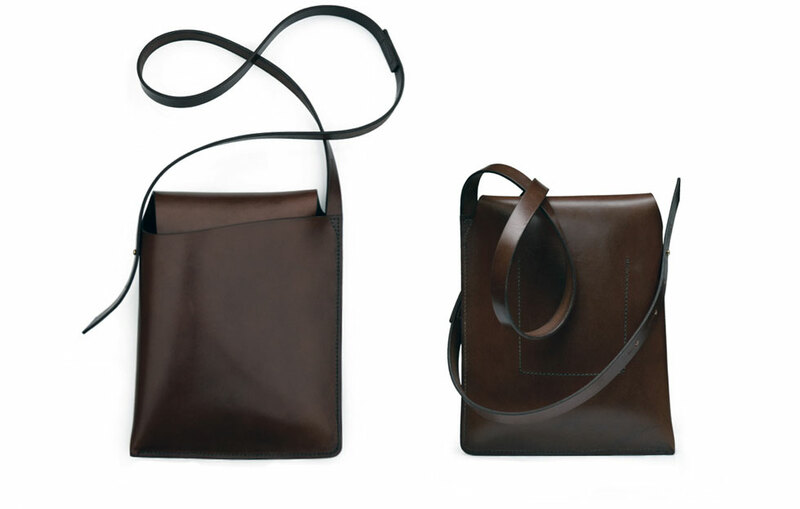 Spacious enough to accommodate an iPad or 11″ Mac and features one easy-slip inside pocket for the smaller items.